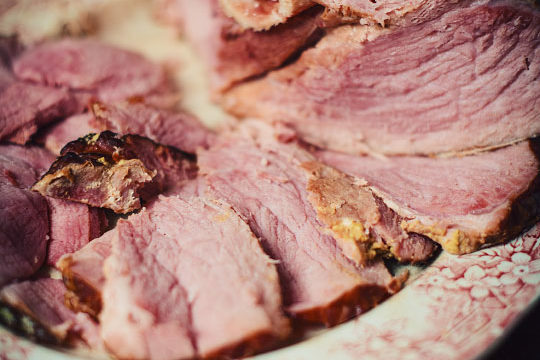 The perfect ham for your Easter dinner. The beer and the maple syrup will bring a magic touch difficult to beat. What are you waiting for? 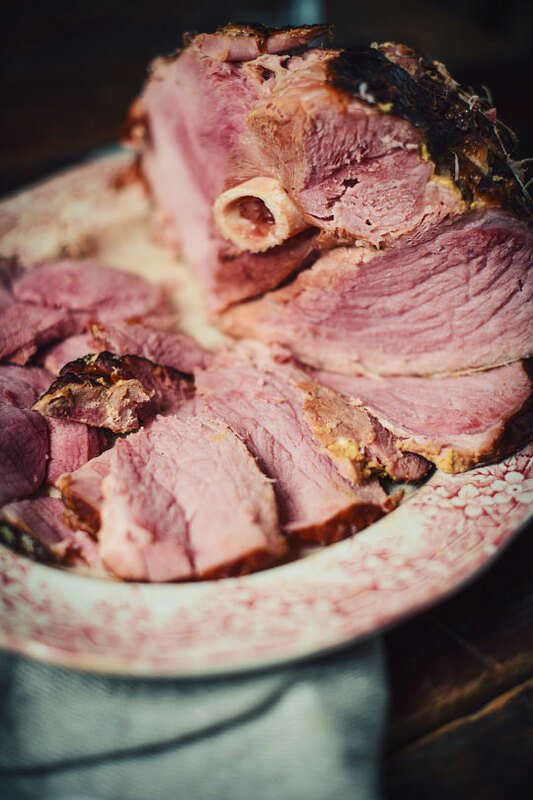 Rinse the ham under cold water and place in a large saucepan. Add beer and maple syrup and stir. Pour enough water to cover the ham to 3/4. Brush top with Dijon mustard and pepper to taste. Cover and place in the oven. Cook for 2 hours, basting regularly with the juice. Serve with mashed potatoes and steamed carrots! It's time to celebrate so we take out the big juice! This California pinot noir is bursting with flavour. Woody notes, balsamic aromas and supple tannins... The perfect match for this Sunday ham! This amber with maple syrup will be perfect to accompany this ham. Not only will you have used it in the recipe, she will dare to accompany you during the meal too. 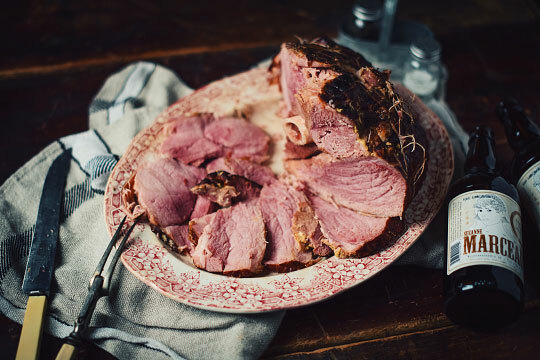 Its touch of smoked malt and delicate hops will support the aromas of the maple syrup of this luxury ham!